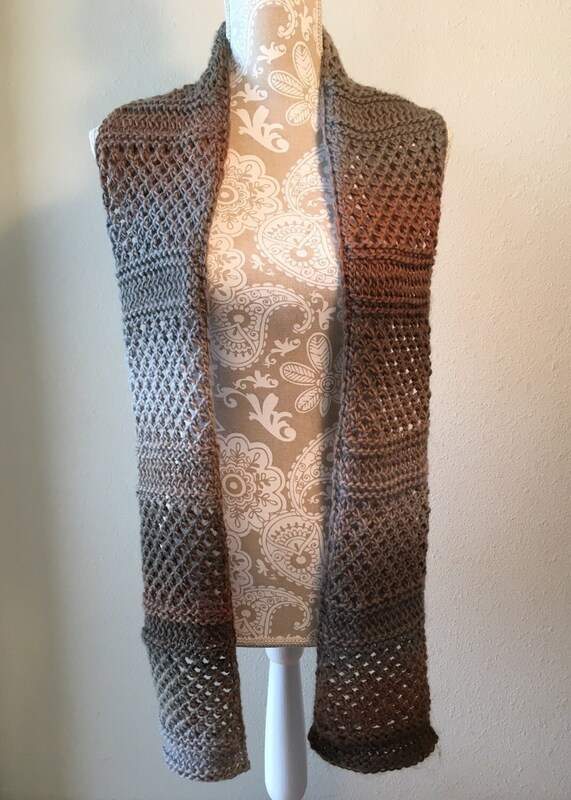 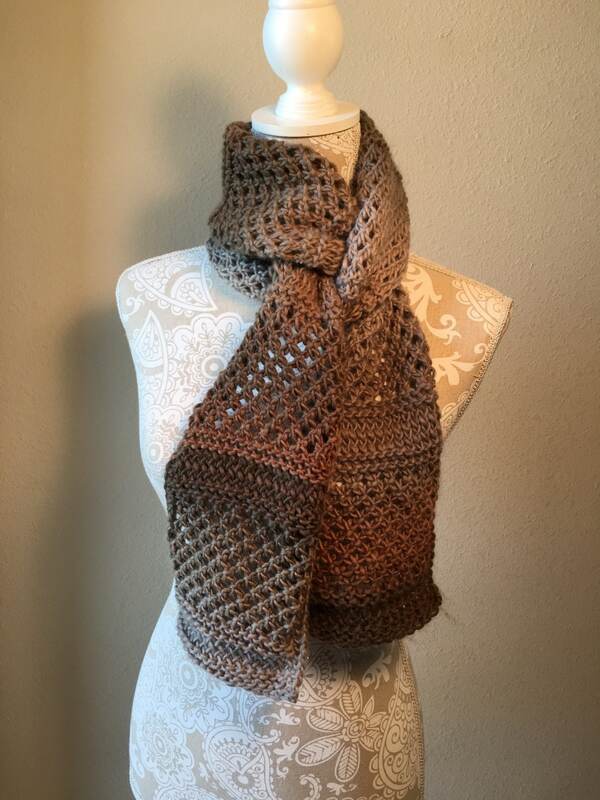 The Castlewood Scarf is loom knit on a 1/2” gauge loom and incorporates my Diagonal Knot Stitch pattern to create an eye-catching scarf. 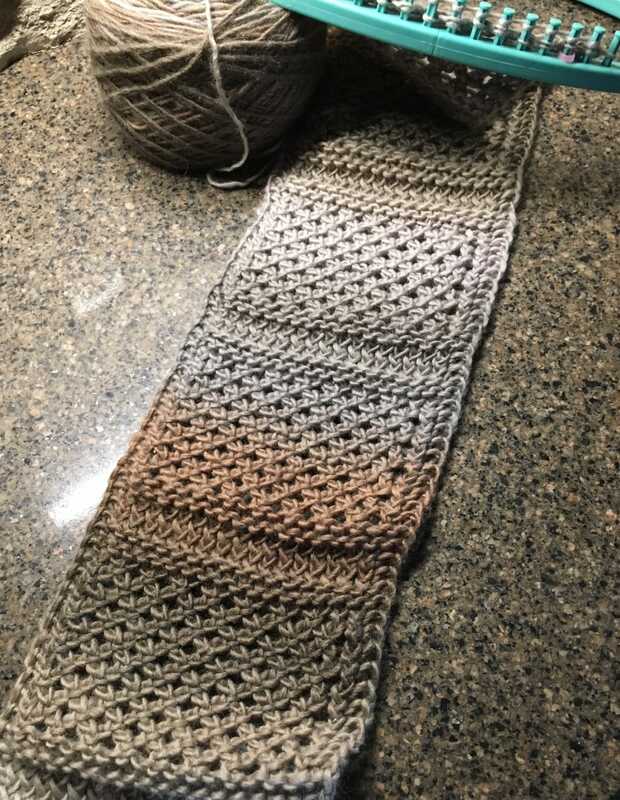 The sample was loom knit with approximately 300 yards of Knit Picks Chroma Worsted yarn in the Fossil colorway. 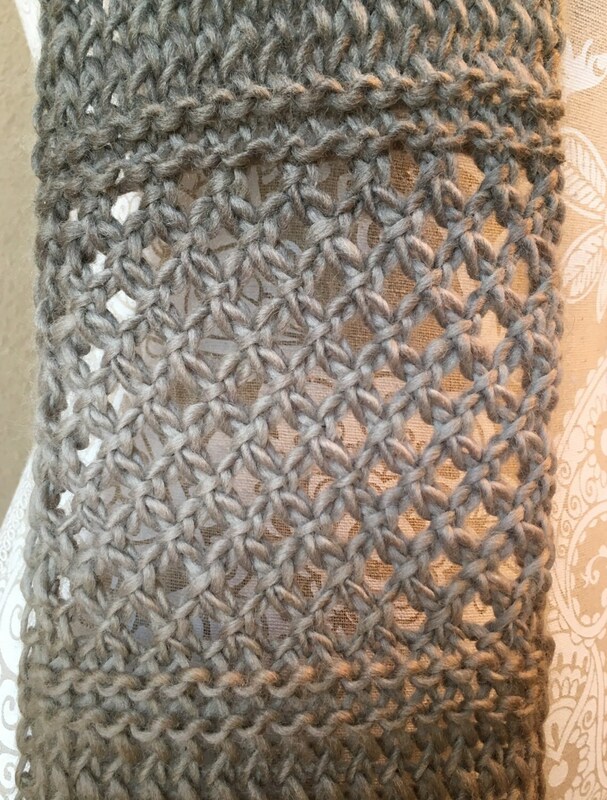 The pattern includes a photo tutorial for the 1-row Diagonal Knot Stitch technique and is suitable for an intermediate loom knitter.